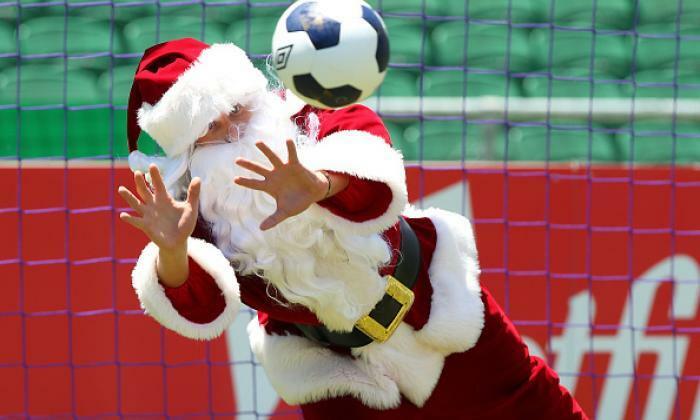 In our new seasonal series, we create Christmas-themed teams out of team sports. Our first edition stars a festive football starting XI. The 4-3-2-1 formation, more affectionately known as the Christmas Tree, has been used in football for decades. It was used by Terry Venables and Christian Gross at Spurs but given the latter’s horrendous tenure, it went out of fashion. It did, however, garner success in Italy with Carlo Ancelotti’s Milan. Then that got me thinking: could you make a team out of players with Christmas-themed names? So I got onto Google and Wikipedia and started digging. I decided to go for names related to the Nativity rather than general Christmas terminology. This meant a bigger challenge. The usual suspects were easy to find but I didn’t want to fill up my team with only Joseph’s and Gabriel’s. The first name that came to mind was Herod and luckily there was an English goalkeeper from the 40s and 50s called Dennis Herod. Joseph made three appearances in the forms of Joe Gomez (Liverpool), Joe Cole (West Ham, Chelsea, Liverpool, Villa, Lille), and Joseph Minala (Lazio). For Jesus, I initially added Gabriel Jesus who covered two nativity names in one but then I remembered Gabriel Batistuta. I couldn’t leave him out so he covered the archangel and Jesus Navas covered our Lord and Saviour. To make things interesting, I decided to incorporate Mary into the team and found Maka Mary, a French defender who plays for Bastia. This left four positions. All the main characters were filled except for three: the wise men. Melchior, Balthazar, and Caspar. They were obscure names in footballing terms but I was up for the challenge. Melchior was easier than I expected. Ernst Melchior was an Austrian forward who playeWd in France and Austria in the 50s. I took a few liberties with Mario Melchiot’s inclusion as I needed another defender and I’m pretty sure his surname is a Dutch corruption of some kind. There was only one Balthazar worth picking, the famed Brazilian striker of World Cup ’50 and ’54, who scored in both opening games for Seleção. And finally Caspar. I wanted to use the exact spelling given my leeway with Melchiot. Caspar Memering filled the last position in midfield. He was a top player too, winning Euro 80 with West Germany, as well as an illustrious career with Hamburg. You can see the full line up below. There are plenty of variations on this theme so what would your team comprise of? Let us know in the comments. And sorry we couldn’t get them into a Christmas tree for you.